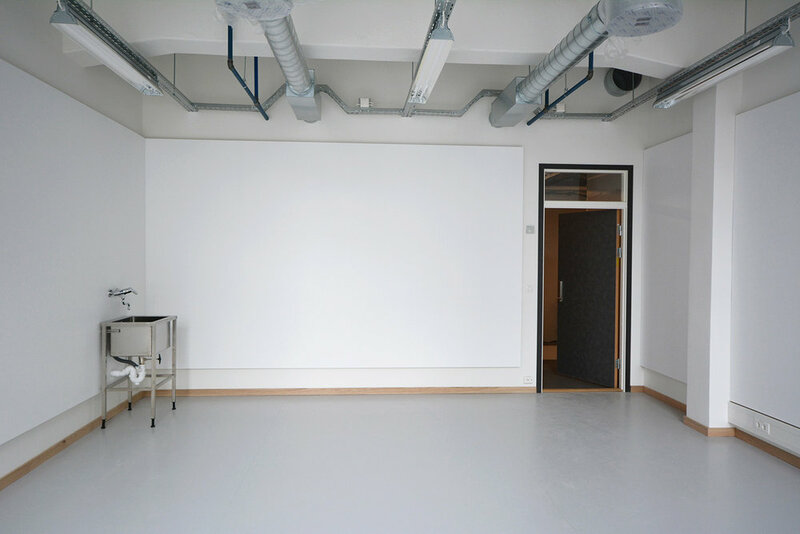 Atelierhuset Tou Scene consists of 31 studios in total. The studios are in various sizes, ranging from 25 m2 - 62 m2. The first 21 studios on the third floor were ready to move into in January 2015. The ten new studios on the second floor were finished 1st of June 2017. The artists are selected through an application process and a jury. The contract is valid for 5 years at a time, with the option of 5 years extension. All the studios are currently occupied except for a guest studio, this will be announced later. Solveig Landa's studio, third floor.